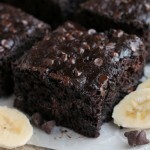 Chocolate Zucchini Cake - Dessert Now, Dinner Later! Chocolate Zucchini Cake is rich and moist, and topped with a decadent chocolate frosting. 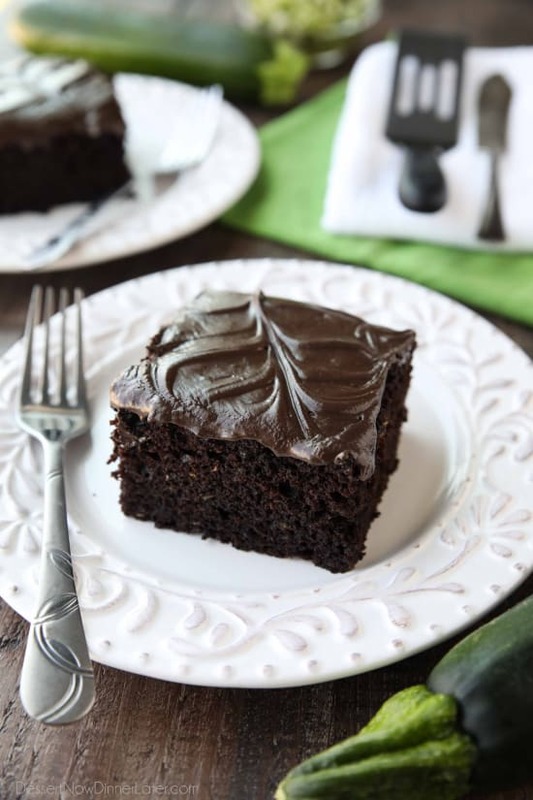 You’d never know there was zucchini hidden in this easy and delicious chocolate cake! Growing up we had a family garden and a couple of fruit trees. I remember having to help weed the garden and clean up the fruit on the grass from our trees. It wasn’t always fun, but I definitely think it helped mold me into the hard worker that I am today. If there’s one vegetable that you seriously can’t fail at growing, it’s zucchini. They grow like weeds, and then you are going around the neighborhood trying to pawn them off on your neighbors. Haha. One family recipe I remember from my childhood was my mom’s Chocolate Zucchini Cake. All of us kids loved that cake. That is, until my brothers found out it had zucchini in it, then they stopped eating it. Haha, but they sure were fooled! 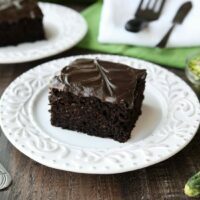 My kids LOVED this recipe for my mom’s chocolate zucchini cake and were fully aware of the zucchini in it. Luckily it didn’t scare them off. Although the Bakery Swirled Icing on top probably helped its appeal factor. 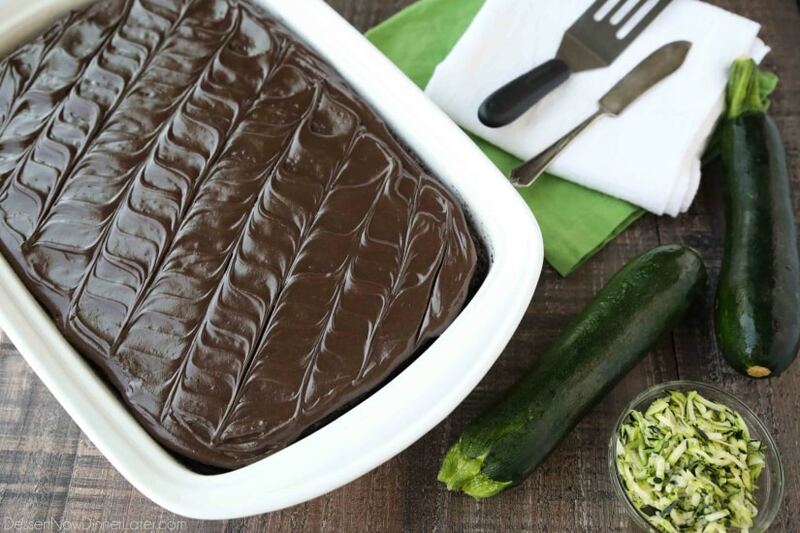 I’m sure all of the chocolate negates the health benefits of the zucchini, but zucchini still adds moisture to the cake, so it’s a great ingredient and helps take care of those garden veggies. 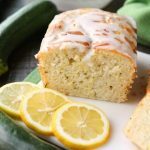 If you want more great zucchini recipes, try this Lemon Zucchini Bread. Or if you’re looking for something savory, this Carrot Zucchini Rice is so tasty. You could always make Pesto Chicken and Summer Squash Skewers too. So many ways to use zucchini! 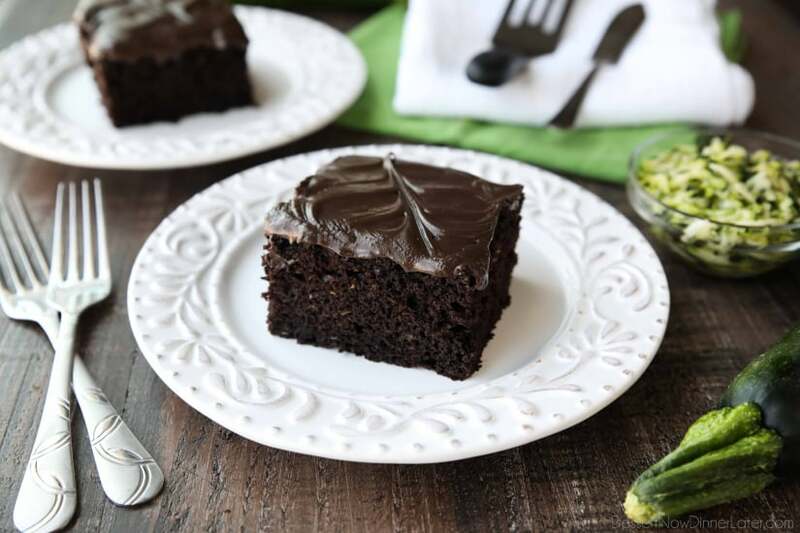 Chocolate Zucchini Cake is rich and moist, and topped with a decadent chocolate frosting. 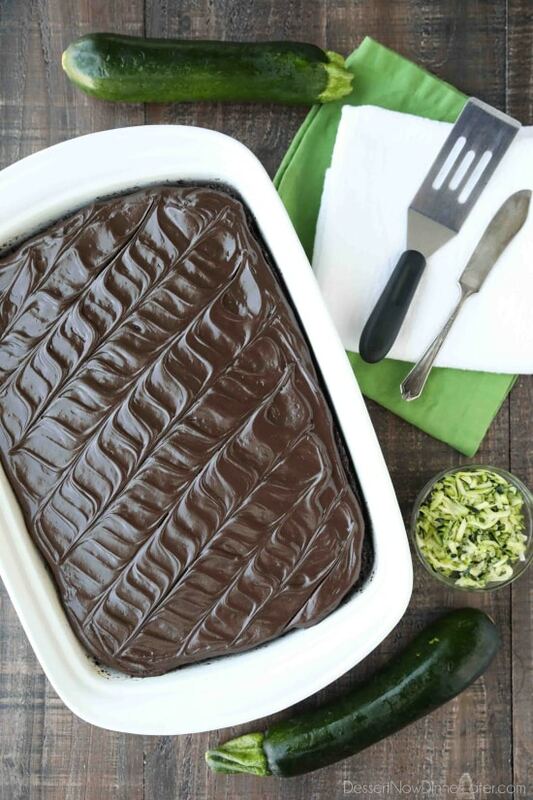 You'd never know there was zucchini hidden in this easy and delicious chocolate cake! Preheat oven to 350 degrees Fahrenheit. Grease a 13x9-inch baking pan. FOR THE CAKE: In a large bowl whisk the flour, sugar, cocoa, salt, baking soda, and baking powder. In another large bowl, whisk together the eggs, milk, oil, and vanilla. Stir in the zucchini. Add the dry ingredients to the wet ingredients and stir until incorporated. Batter will be thick. Spread cake batter into prepared baking pan. Bake at 350 degrees Fahrenheit for 35-40 minutes or until a toothpick is almost clean from the center. Do NOT over-bake. Allow cake to cool completely before frosting. FOR THE FROSTING: Using an electric hand mixer, beat the butter, cocoa, corn syrup, and vanilla in a large bowl. Add the powdered sugar, 2 Tablespoons of milk, and a pinch of salt. Mix well. Add more milk a little at a time until desired spreading consistency is reached. This cake is amazing! 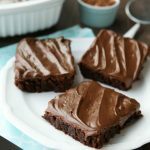 I found the recipe on My Baking Addiction many years ago while searching for Zucchini recipes, and have made it many times since. It always gets rave reviews from family and friends and I have shared the recipe with many of them. I Rate it 5 Stars+! 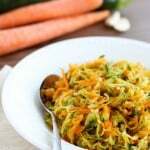 Definitely a classic recipe for zucchini! Thanks Donna! Hi Amber, How do you get the decorative pattern on icing? Thanks Amber, shall give it a go, when I make your cake tomorrow.